How did BMW apply the 4 Action Framework to create a sustainable business model? 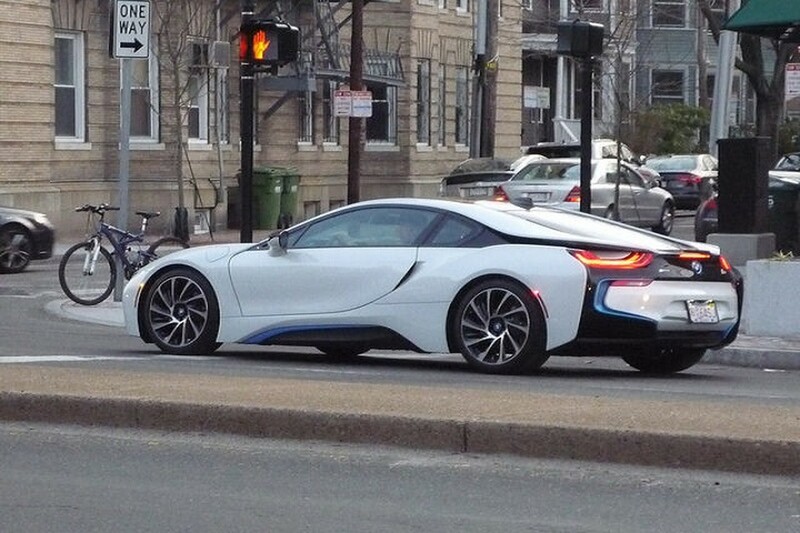 “Think ahead” is the statement claimed by the BMW Group for their holistic approach of sustainable mobility. With the launch of Project i, BMW addresses its business strategy from a different perspective, since it defines sustainability as the next premium for products and services for individual mobility. The 4 Actions Framework can be used to determine which actions have been taken by BMW to reconstruct their Business Model Canvas towards a more sustainable one. While the world is changing faster than ever, BMW anticipates with an innovative business model for future-oriented mobility: the BMW i-brand. Driven by external factors, BMW recognizes our fast changing society as a key ingredient for developing new premium products and services. After identifying the key external trends and challenges, such as urbanization, smaller households and climate change, BMW started to create a ground-breaking and comprehensive concept for sustainable mobility in 2007: Project i. The concept represented visionary electric vehicles, inspiring design and a redefinition of personal mobility through purpose-built car concepts with a strong focus on sustainability and complementary mobility services. BMW is trying to change the scope of its industry by determining future-oriented mobility and sustainability as its new centers of gravity for achieving new innovative business. In 2008, BMW decided to withdraw from Formula 1 and started to invest in Project i with the objective to innovate its core processes aimed at developing new solutions in the areas of production, R&D and marketing. Today, Project i is positioned as the separate BMW i brand, as an addition to the existing portfolio of BMW and the BMW M labels, with matching brand values. Joyful driving forms the fundamental idea applicable to all three BMW brands. Additionally, the BMW i mobility concept symbolizes 100% electric travel and pleasure before, during and after each journey. The long-term goal of realizing innovative new business with Project i derived from the corporate ‘Number One’ strategy of BMW Group. By redefining the understanding of mobility to appeal new customer segments with new products and services, the BMW i brand aims to generate growth and to develop access to technologies by pioneering technologies and design. 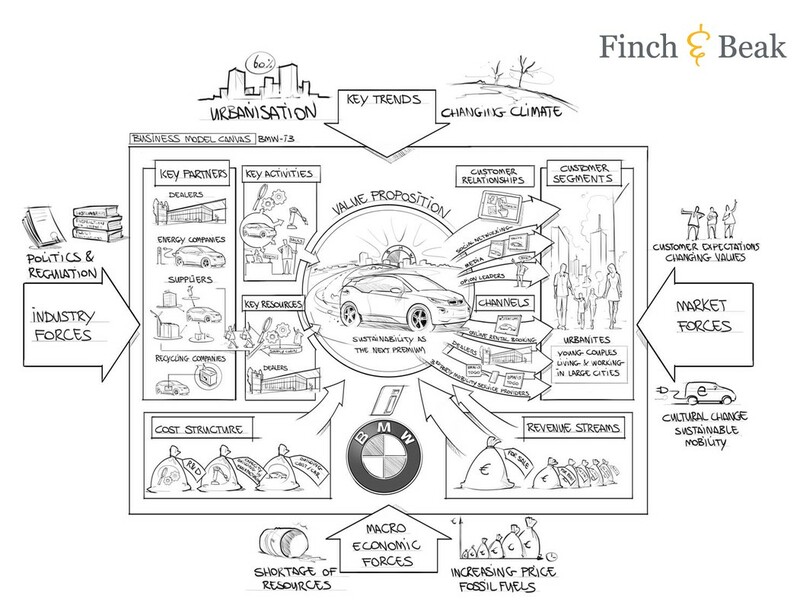 Furthermore, BMW shapes the future through building a future-proof product portfolio. By 2030, over 60% of the world population will be living in cities. Redefining urban mobility is a challenge far beyond environmental issues and agile driving. The BMW i3 embodies the car of tomorrow: a future-oriented car with innovative design, a wealth of BMW EfficientDynamics technology and attention for personal mobility. The BMW i3 is 100% emission-free and characterized by the use of high-quality and sustainable materials. Moreover, 95% of a BMW i3 car can be recycled, marking BMW's commitment to the circular economy. In cooperation with key partners, the BMW i3 substantiates its value proposition of “Sustainability as the next premium, delivering sustainable mobility solutions with visionary ideas and inspiring design.” To keep developing future-oriented concepts, ideas, products and services, R&D will remain one of the key activities. BMW managed to turn the challenge of urban mobility into a revenue stream by setting up personal mobility initiatives in the city. BMW i has a focus on sustainability throughout the entire value chain. From design to production, from its day-to-day use to its disposal: every link in the value chain is based on sustainability. BMW considers sustainability as a continuous process that does not begin nor ends at a particular moment in time. The same philosophy is applied to its value chain in which every supplier contributes to the sustainable profile of the actual product. The Four Actions Framework as proposed by Kim and Mauborgne in their bestseller Blue Ocean Strategy focuses on four actions to create more value from your business. The actions that can be taken to reconstruct your business model include eliminate, reduce, reuse and create. With the innovative i3 Series, BMW has applied these four actions to their Business Model Canvas. The Business Model Canvas of the i-brand can be found in the attached download. 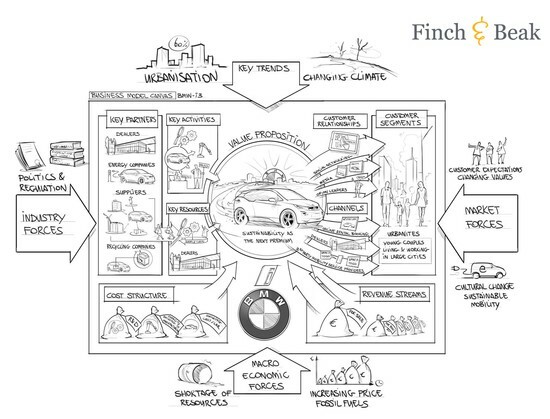 At Finch & Beak, we challenge you and your peers to apply the 4 Actions Framework of eliminate-reduce-reuse-create to discover which actions have been taken to transform the traditional Business Model Canvas of BMW into the more sustainable BMW i3 Business Model. If you would like to share your results, ideas or suggestions, please let us know! 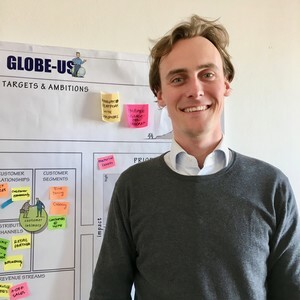 In case you are thinking of redefining parts of your business model or looking for more concepts for sustainable innovation, please contact Lars Gielen at lars@finchandbeak.com or call +31 6 28 02 18 80. Challenge: Can you give the existing business model a circular economy twist?